Bidding farewell to the Soviet legacy generates a range of emotional responses including relief, rage, fear, and regret. 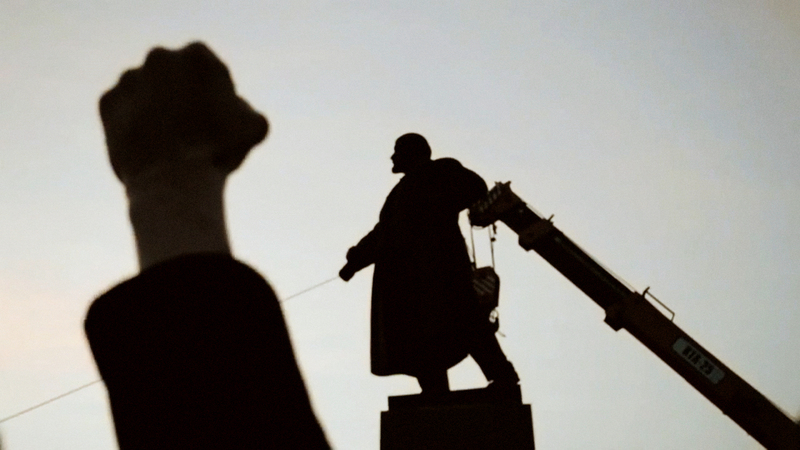 The Fall of Lenin is inspired by the laws adopted by the Parliament of Ukraine in 2015, condemning the Communist regime and banning the use of its symbols. Using associative montage, the film reflects on the dawn and twilight of idols, as well as the curious afterlife of history’s ghosts, and in doing so, provides a fresh look at the difficultly of parting with a troubled and troubling past. Svitlana Shymko is an independent director from Ukraine, and a graduate of the DocNomads international MA program in documentary film directing. Her short films have been shown and received awards at numerous international film festivals. Shymko is working on developing political, social, and feminist topics in documentary cinema.